Nokia made a comeback in the smartphone game as HMD Global acquired its rights. The company released Nokia 3, Nokia 5 and Nokia 6 as its first-ever Android Smartphone. At the Mobile World Congress 2018, HMD Global released Nokia 6 (2018). HMD Global has got positive records in terms of rolling software updates on its smartphones. All the devices of HMD come with Pure Stock Android because they are committed to using Android One platform. Android One platform gives fast (almost instant) updates, after the Google’s own Nexus or Pixel series. So, Nokia 6 got the stable Android 8.1 updates and the official Beta Programme is in the cooking mode for Nokia 3’s Oreo. The OEM has started rolling out the stable version of Android 8.1 Oreo update for Nokia 5 and Nokia 6. The Update for Nokia 6 is currently available in India with March security patches and also a new settings menu. It also got a revamped power menu, Bluetooth battery percentage, and a battery saving navigation button. Redmi Note 5 (Pro) [full resolution] Stock Wallpapers — Download now! You can download the Android 8.1 Update for Nokia 6 from this post (links are given below) and apply it on your device to update your Android OS. Changelog – What’s new in Nokia 6 Oreo Update? Here is an awesome video of Android 8.1 Oreo on Nokia 8 (by Nokiapoweruser), and Nokia 6 got the same updates as Nokia 8. So, the overview of both the OS is same. This OTA is purely Official and captured from Nokia servers which they use to push the updates to the device. 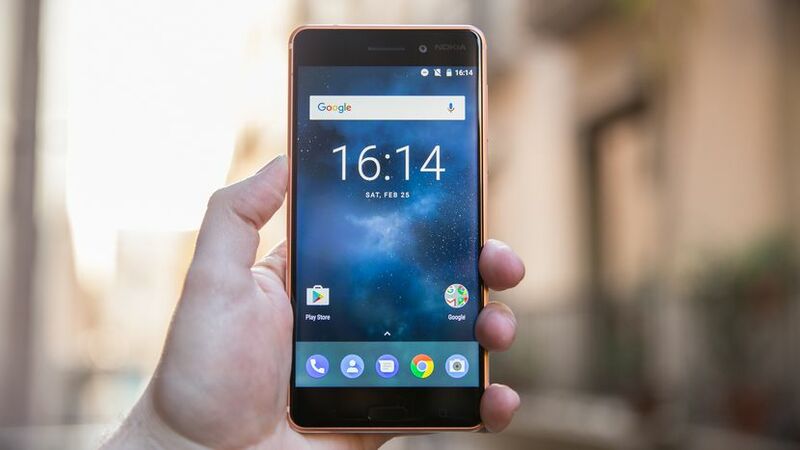 You can download and Install Android 8.1 Oreo on Nokia 6 using stock recovery. Furthermore, you can get the update directly from your Nokia 6. In that case, you need to go to the Setting, then About and then check for update. Some users might not find the updates directly on phone. So, they can simply download the OTA Zip and Install it on the Nokia 6. Nokia is one of the best smartphones of HMD Global that has been promised Oreo update. Therefore, the update is available now and can be Installed easily using Nokia Stock Recovery. We applaud HMD Global for rolling this Android 8.1 Oreo update and we hope the form continues. Any Problem? If you encounter any trouble, please comment below, and we will get back to you as soon as possible. Do you have the OTA zip for Nokia 5? It’s here: Nokia 5 Android 8.0 Official Oreo Zip! I now have that one, but I need Android 8.1 for Nokia 5. ? I can’t open my phone after install! My Nokia 6 TA 1003 is ruined after Oreo 8.0 update. Dolby, VoLTE does not work amymore. Had to get a new mobile. Damn NOKIA. I also have the same concern. Anytime I would like to know if it is not a problem of the region because the updates are available according to the regions and AT-1003 was like a version of Nokia 6 or I’m wrong. I got an update to Android 8.1.0 on my Nokia 6 TA-1021 which the installation over OTA went successfully. The only issue I have is that Application notication counter has GREEN dot on the Application instead of NUMBER. My TA-1033 completely without sound after update to 8.1, downgrade did not help. I have TA-1021 (INDIA) with build no- 00WW_5_22A. I have downloaded the zip from above link. Then I installed it from stock recovery. But it fails and my phone restarts to recovery menu automatically. I have Oreo 8.0 February Security Patch previously on this phone. Please tell me how to install 8.1 updates with the latest security patch. Hello, I purchased Nokia 6 TA-1003 two months ago. The trouble is that I do not have the recovery mode on. In fact, when I do the manipulation, the phone writes: no command. Thank you for helping me on this, please. I need the patch for Nokia 6.1 to get Android Oreo. I am using Nokia 6.1 Plus updated with Android 9.0 but I want Rollback to Android Oreo 8.1. How to get it back? Do you have any solution for it. I have just installed Nokia 6 Oreo 8.1 zip file. After that, No Command. Please need help me!